Let’s confess: While the Newseum’s exhibit, "G-Men and Journalists," appeals to the luridly curious, like me, it might not be catnip for all. 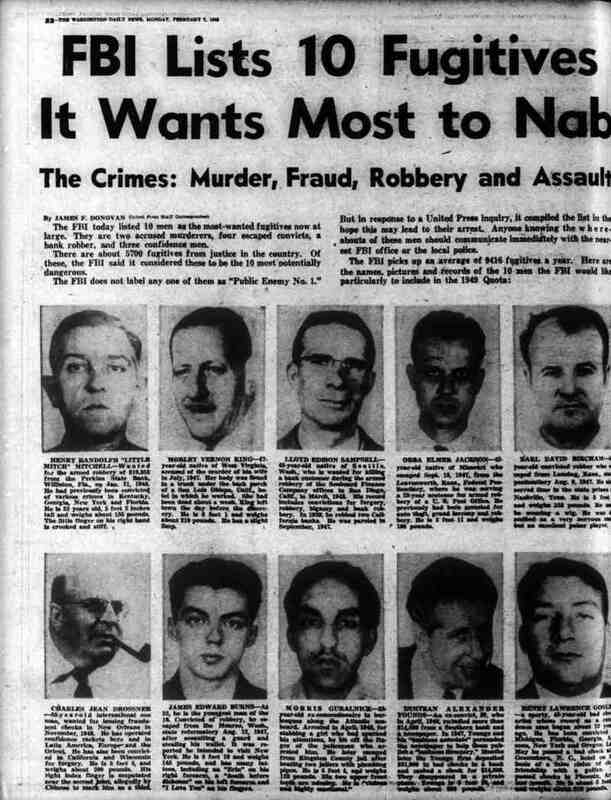 “UGH,” said one pal when I excitedly told him about seeing the mock-up of the D.C. Sniper's car, which was used for the trial; the Unabomber Theodore Kaczynski's actual cabin from northern Montana; and the high-backed wooden chair used to electrocute the man convicted of killing the Lindbergh baby. I felt extremely uncomfortable watching the Lindbergh video about Bruno Richard Hauptmann’s capture and conviction, which indicated he may have been railroaded by public hysteria, and I averted my eyes from the electric chair—though I can close my eyes right now and picture it anyway. "G-Men and Journalists" features a dozen main sections, each examining a major case or an aspect of the FBI’s first 100 years, a history that touches many of our most highly charged memories: Waco, the Oklahoma bombings, FBI spy Robert Hanssen (remember the 2007 movie, Breach? 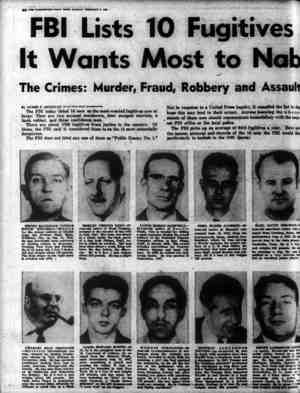 ), gangsters, the Mafia, and Patty Hearst (the kidnapped newspaper heiress). Hearst looked larger than life in the famous 1974 photo of her and her captors robbing a bank. In fact, Hearst was a petite woman, judging by the stylish, short coat on display, along with the gun she used. Patty must have been as slim and pretty as her blonde sister, Gina Hearst, who worked at the LA Herald Examiner years later when I was a reporter there. Gina parked in a guarded, fenced, well-lighted area behind the building, and we all understood why. Give yourself plenty of time to see the videos, and watch the push-pull of agents and journalists—sometimes using one another, sometimes as adversaries. In all, you exit G-Men with much to ponder about the ripple-effects of riveting news on our own personal lives. G-Men remains on exhibit until June 2009, and a number of lectures are scheduled: Check “Events and Education” on Newseum.org for the latest listings. The Newseum is the newest museum in Washington, D.C. 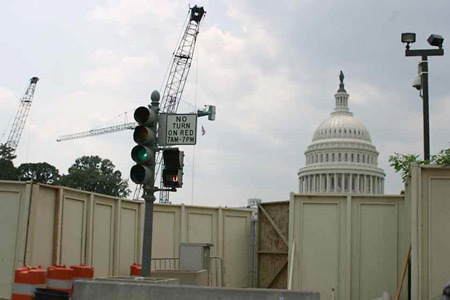 The 250,000-square-foot building stands at Sixth Street and Pennsylvania Avenue N.W., between the Capitol and the White House. It is across the street from the National Gallery of Art. Entrance fees range from free (6 and under) to $20. Where are the D.C. Smartbikes? NG Books Editorial Assistant Hunter Braithwaite likes bikes, and tells us a bit about his hopes for the D.C. SmartBike program. On the first of July, aboard a very crowded Metro, I read this article in the Washington Post’s Express. Seems that we’re going to have to wait a little longer for the SmartBike program to take off. You know, those cute little (empty) bike racks that are popping up around northwest D.C. I for one am very excited to think that Washington is attempting a bike sharing program, which is healthy, progressive, and sustainable. 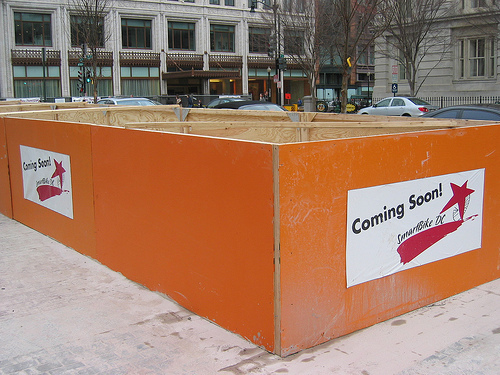 Who cares if it’s being done in typical D.C. fashion, that is, slowly and illogically? IT has done several stories on Paris’s Vélib program, the astonishingly popular initiative set up last summer by the City of Lights. Since then, there have been beaucoup de praise and a few criticisms; namely, that it’s giving access to bikes to people who shouldn’t have access to bikes (tourists, the uncoordinated). And to be fair, this isn’t far from the truth. Paris is a bicycle-friendly city, but it’s still a city. A big one. And most tourists are just that, touring. They don’t have a firm grasp on the nuances of Parisian geography, traffic patterns, or the relentless tide of teenagers on scooters. In short, they’re bad cyclists. But a few broken scraped knees and dented Peugeots shouldn’t be held against them, should it? But with the three recent deaths of cyclists using the Vélib system since May, some frustrated Parisians are now talking of putting an end to the vélo-fun. Bertrand Delanoë, the city’s mayor, answers with a resounding “Non,” and points out that the accident rate has increased only 7 percent in the city, while the use of bikes has jumped up 24 percent. The city has had over 27 million rentals on the Velib system so far and the program continues growing with every passing week. The city started out with more than 10,000 bikes, and that number has doubled in the past year. And this isn’t just a Paris thing—other cities have their own versions: Barcelona, Lyon, Seville, Helsinki, Copenhagen, Munich. 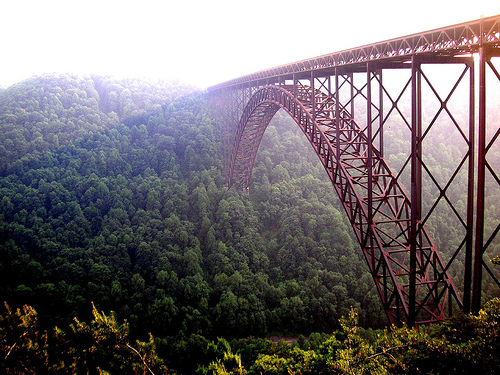 John Ur makes a stop in West Virginia in this week's Cinematic Road Trip column. David Strathairn is a 59-year-old actor born in California. His most famous role has probably been as Edward R. Murrow in the Academy Award-nominated Good Night, and Good Luck. Before becoming an actor, he spent some time in a Ringling Brothers Clown College. And he played prominent roles in the two movies that we’re going to look at today in West Virginia. Strathairn has long been a solid supporting actor in Hollywood, but got his break through his friendship with director John Sayles. Both Sayles and Strathairn made their debut with the Return of the Secaucus Seven in 1980. Seven years later Sayles called Strathairn again to appear in his film Matewan, shot in Thurmond, West Virginia. The city was chosen for its enduring characteristics of a 1920s coal mining town in Appalachia. As of the 2000 census, the town had a population of seven people. Matewan is the story of coal miners struggling to form a union in the face of a repressive coal company. Despite their attempts at action, the Stone Mountain Coal Company threatens to cut miners’ pay at every turn. When the miners go on strike, the company brings in some hired thugs to intimidate and rough up the union men. Strathairn plays Police Chief Sid Hatfield (of the infamous Hatfield Clan)—an uncommon man who cannot be bought out by the coal company in a time when that practice was commonplace. [In] the hills of West Virginia, the people and the music have a mood and rhythm to them that needs to be seen and heard to be felt completely. There is a cyclical sense of time there, a feeling of inescapable fate...Politics are always at the mercy of human nature and custom, and the coal wars of the twenties were so personal that they make ideology accessible in a story, make it immediate and emotional. 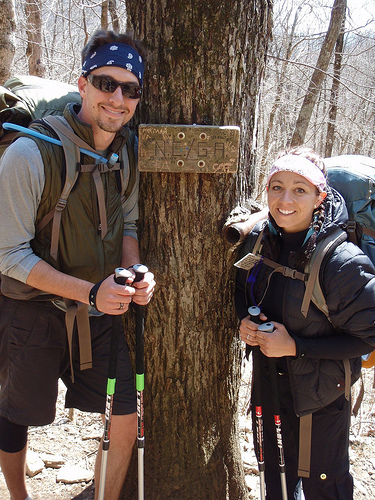 For the past three months, Jordan Price and Carlie Roberts have been hiking along the Appalachian Trail on a "Trek Against Trash" to raise $150,000 toward Keep America Beautiful's efforts. As if the hike wasn't enough, Jordan and Carlie have been picking up garbage along the trail the entire time and stopping to work on local cleanup efforts in cities along the route. They've been chronicling the journey on their blog, and last week, they hit the 1,000-mile halfway mark. IT Editor Janelle Nanos caught up with them on a recent stop. Update: As of the team's most recent posting on July 2, Carlie left the trail. But she will continue to help Jordan plan his journey as he continues to the end. Next stop, New Jersey and New York state! How did the idea for the Trek Against Trash come about? Jordan: It's always been a dream of mine to hike the Appalachian trail, and we liked the idea of hiking the trail for environmental awareness. We stumbled onto the KAB website and fell in love with their organization. Carlie: KAB knew we wanted to hike the entire trail, and they immediately embraced us. Their beliefs paralleled ours. You don’t necessarily have to hike for six months or buy a hybrid car, but everyone should take the responsibility to do their part on their planet. 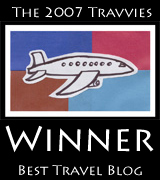 Were you both active hikers before you embarked on the trip? Jordan: I’ve done a lot of hiking before, but this is Carlie's first backpacking experience. Carlie: It is an adventure every single day, and it's awesome to be able to undertake this big of a challenge right off the bat. I've run marathons and other long-distance races, but on my first day, I walked more miles than I've ever done before on a hiking trip. 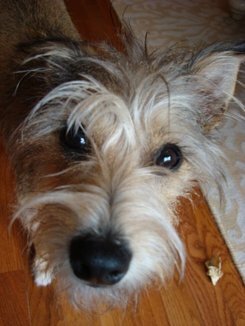 It’s not much of a secret around the office (or anywhere, basically) that I’m a little obsessed with my dog, a one-year-old terrier mutt named Dublin, pictured to the left. He is essentially the cutest creature on Earth, even when he’s destroying antique necklaces passed down from great-grandparents, or going wherever he pleases. If something is as awesomely precious as he, you can get away with just about anything. So, when I was searching for a nice getaway place to stay somewhere in Virginia’s Blue Ridge Mountains, a little establishment called “Paws and Reflect” caused me to do just that. A self-described “mountain getaway for people and dogs that go everywhere together,” Paws and Reflect has more posh pooch amenities than most luxury resorts offer humans. And it’s just a two-hour drive from D.C., nestled in the Shenandoah Valley. I figured my latest discovery might be of interest to the 29 million Americans who travel with their pets (usually dogs). Often, traveling with Fido means lugging along bulky pet supplies (although check out ABO Gear's line of canine camping equipment for convenient pooch packing), but Paws and Reflect provides it all for you. Associate Editor Amy Alipio recently ventured to Virginia to witness the restoration efforts at Montpelier, the former home of our fourth President, James Madison. I’m embarrassed to admit that I didn’t know a whole lot about James Madison before I visited his house, Montpelier, recently. Without the benefit of an HBO mini-series chronicling his life, our fourth president is probably the least known of the nation’s founding fathers. And that’s not for his lack of accomplishment. As architect of the Constitution and drafter of the Bill of Rights, he’s basically responsible for devising our entire system of government. With the goal of promoting his legacy, a $24-million project is currently restoring Madison’s Georgian-style home in Virginia to what it looked like in the 1820s, when Madison and his wife Dolley retired there after his presidency. The project hasn’t been an easy task. 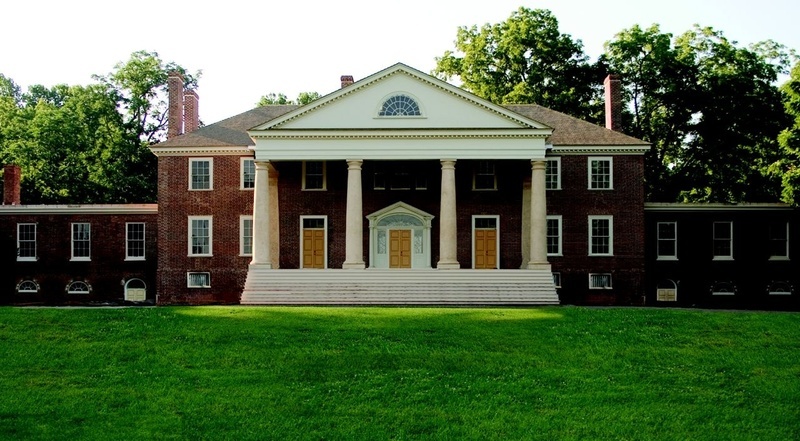 After Madison’s death at Montpelier in 1836, Dolley sold the estate in 1844 to pay her bills and those of her son, John Payne Todd, who was a gambler and alcoholic (“Bad at one, good at the other,” says a Montpelier guide). The house had six different owners before William and Annie duPont bought Montpelier in 1901 and enlarged the house from 22 rooms to 55. They added wings, an additional story, and painted the house cotton-candy pink. Restorers first had to eliminate all of that, and then begin the painstaking process of authentically recreating the Madisons’ 1820s house, using original beams, windows, and doors whenever possible. With Memorial Day upon us and with gas prices hovering well over $3 per gallon, I'm planning to stay put in DC this upcoming long weekend, to take in some Rolling Thunder along the Mall, and head over to NoMa to check out Artomatic. 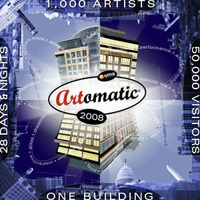 Held regularly since 1999, Artomatic isn’t the easiest DC phenomenon to explain, I fear. Let me try: It’s a free, multimedia art extravaganza held in a spanking new office tower (Capital Plaza I, 1200 First Street, NE) in Capitol Hill North, the rapidly redeveloping mixed-use neighborhood “North of Massachusetts Avenue” (hence the clever moniker). With close to 700 visual artists and 300 performing artists on board, Artomatic expects at least 50,000 visitors during its month-long life, through to Sunday, June 15th. You can find just about any form of artistic expression at this bonanza: Visual art, performance art, short films, fire dancing (! ), installation art, poetry slams, dancing, tattooing, theater, live music, and burlesque (!!). Artomatic’s mandate is to bring art directly to the public and to break down barriers between established and emerging artists. Artists of all stripes, level of success, and of just about every genre can participate and show their work by paying a nominal fee to the nonprofit and by volunteering a few shifts to keep the show running. 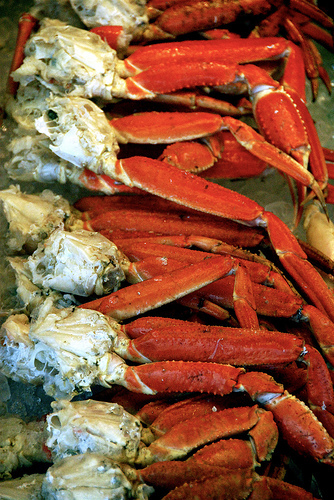 As the weather warms up along the Mid-Atlantic, people inevitably start thinking crab. But writer Jody Mace admits that for her, crabs are a borderline obsession. She takes us through the entire thought process at her favorite crab shack Original Benjamin’s Calabash Seafood in Myrtle Beach, South Carolina. I hold the crab leg with both hands, my thumbs almost touching. I give it a sharp, measured, snap. The goal is to crack the shell, but not tear the meat. I turn it over and snap again, cracking the shell all around. I gently wiggle the two sections apart, revealing a long piece of crabmeat hanging, quivering, from the shell. I dip it in the butter and bring it to my mouth. I hold the crab leg lightly with my teeth, and, closing my eyes, pull the meat from the shell. Sweet crab, rich butter, and a hint of salt mingle in my mouth. Heaven. Going for all-you-can-eat crab is de rigueur when my sister and I visit Myrtle Beach. We’ve got a strategy. First there’s the basket of hushpuppies. I could eat them all. But that’s just what they want us to do! If we fill up on hushpuppies, we won’t put a hurting to the crab legs. So we resist. Whoever has the best view of the buffet bar alerts the other when a new vat of steaming hot crab legs arrives. It’s easy to be sidetracked by the 70 other items at the buffet. I skip them all. Each bite of shrimp scampi takes up a little stomach room reserved for crab legs. You have to focus. Whenever I need a surefire way to impress an out-of-town visitor, I head to D.C.'s Massachusetts Avenue for a stroll along Embassy Row. The fascinating architecture makes for lovely eye candy, plus, it's a great glimpse of global culture in our nation's capital. Most of the year the sites serve uninformed passersby merely as stand-offish spectacles to gape at from the sidewalk. 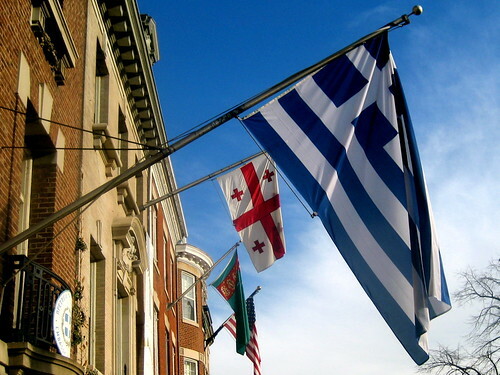 But in May, the diplomatic community props open its doors for the two-week-long Passport DC. This year, 60 embassies (and the European Commission Delegation) are participating, from Angola to Venezuela, as well as 24 cultural institutions. Passport DC kicked off last weekend and will last through May 17, culminating with an Around the World Open House—showcasing authentic culture at 24 embassies from Africa, Asia, the Middle East, and the Americas—and the National Asian Heritage Festival. In the middle, the International Children's Festival takes place Saturday, May 10, with tyke-friendly activities showcasing 16 countries, from Lebanon to Brazil. Best of all, the majority of the events and open houses are free of charge (yes, Europe can still be affordable! ), though the ticketed events present intriguing offerings (Czech bagpiping, French cinema) and generally draw more intimate crowds.